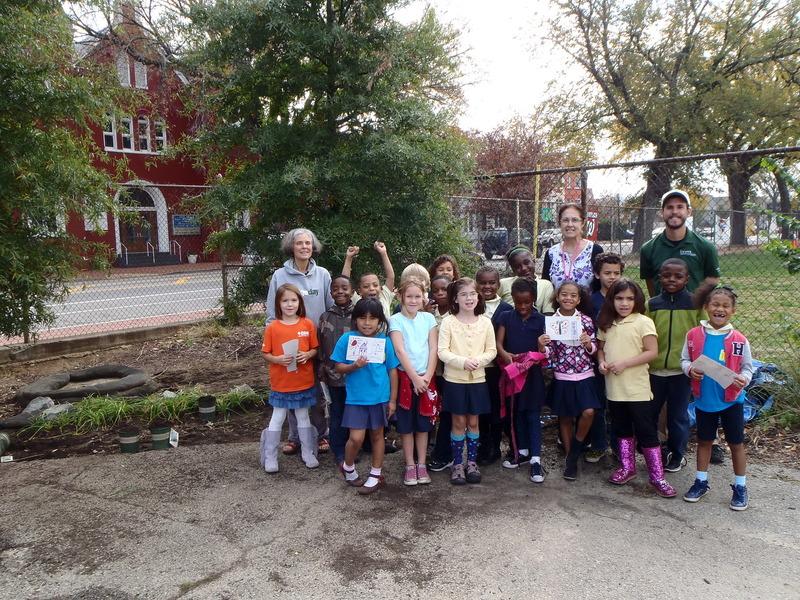 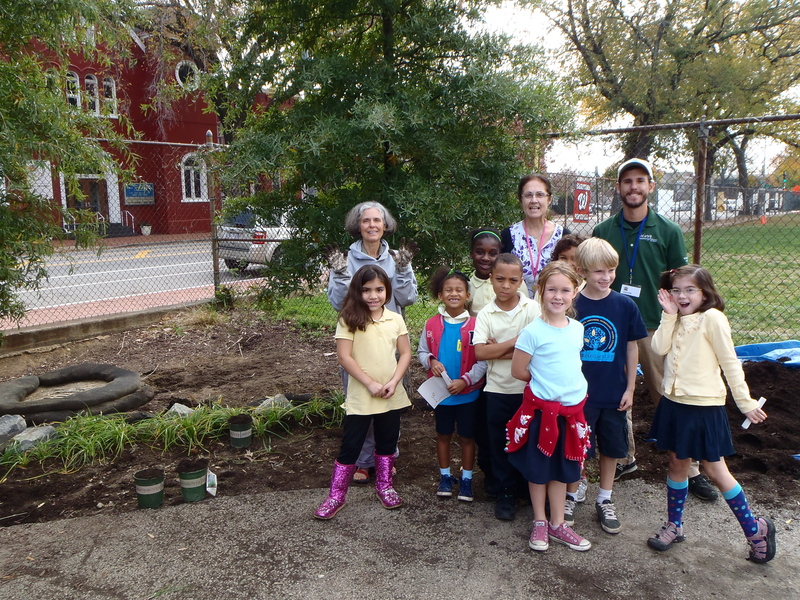 In partnership with Living Classroom of the National Capital Region, Jeanette and Kris work to create a sponge garden at Tyler Elementary School. 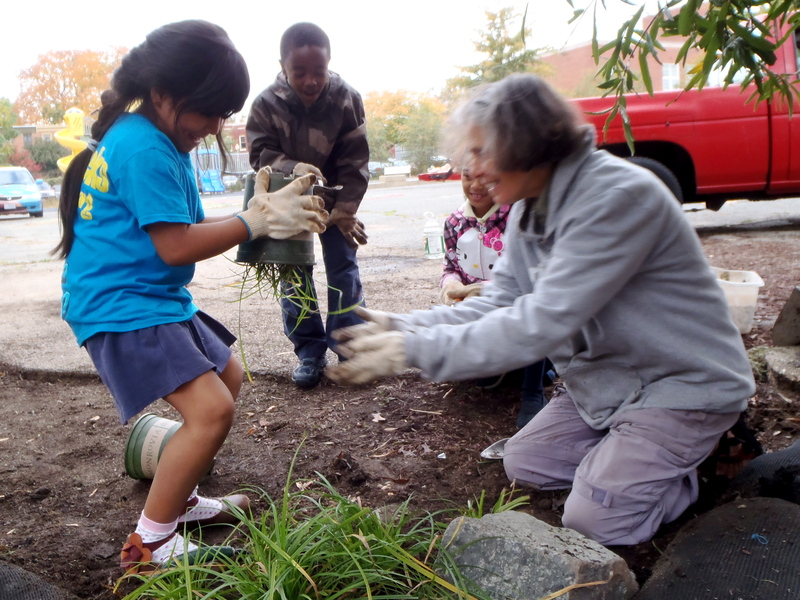 In an area receiving runoff from an asphalted playground, a stormwater snake is installed near a drain to help infiltrate and filter water. 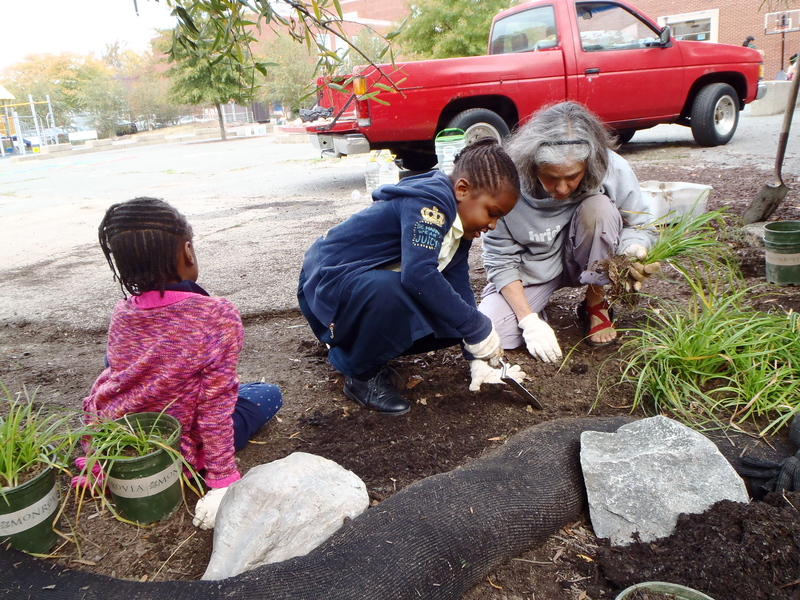 Working with the second graders, the area was mulched and planted with grey sedge. 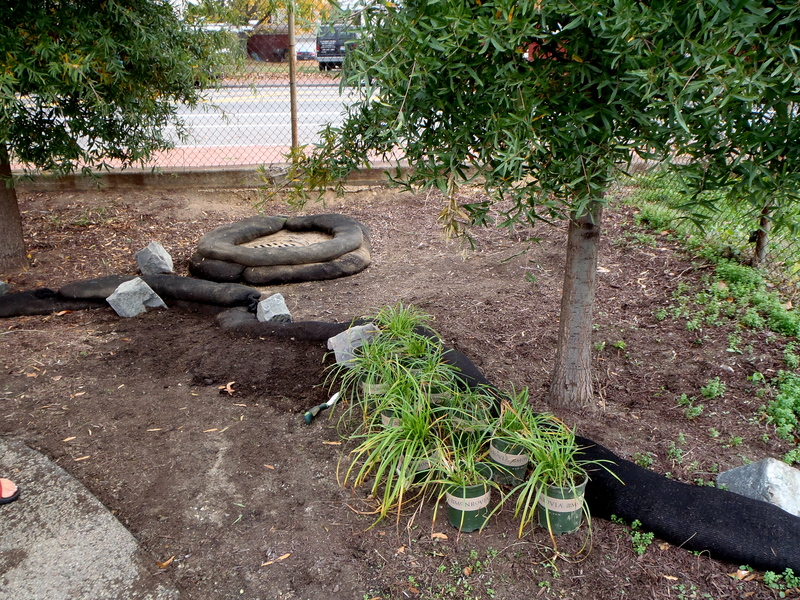 There is still much work to do and many plants to be installed, but we are off to a great start!